Just seconds from the Marche Forville, this contemporary 1 bedroom apartment offers stylish accommodation for up to 2 guests. This contemporary 1 bedroom apartment offers stylish accommodation presented to a wonderful standard, for up to 2 guests. Located in the centre of Cannes it is minutes away from the Palais des Festivals, Rue d'Antibes and its fantastic shops, restaurants and beaches. 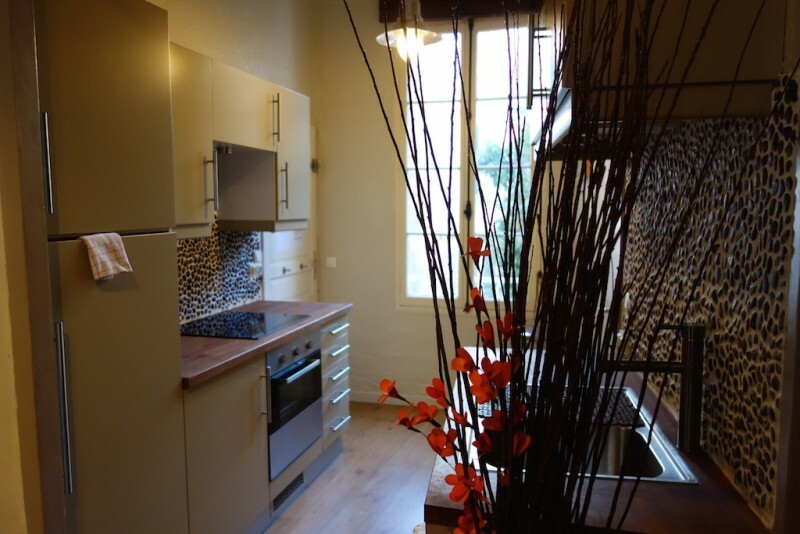 Apartment of 33 M2 including kitchen, shower room with WC, living room, open on stay. City view. Exposure South/north. American kitchen furnished and equipped with fridge with ice cube tray, ceramic hobs, microwave, oven, coffee machine, kettle, crockery, iron and ironing board. Table for lunch, sofa, plasma TV, decoder. 1 double bed. Nearby Forville market, port of Cannes, restaurants, train station, taxi, bus, parking ... 5 min walk from the Palais des Festivals.